Prime Minister Narendra Modi greeted people on the occasion of Diwali. “Happy Diwali! May this festival bring happiness, good health and prosperity in everyone’s lives. May the power of good and brightness always prevail!” he posted on his twitter handle. PM Modi celebrating Diwali with the jawans of Indian Army and ITBP at Harsil in Uttarakhand. “Your devotion to duty in the remote icy heights is enabling the strength of the nation and securing the future and the dreams of 125 crore Indians,” he told the jawans. 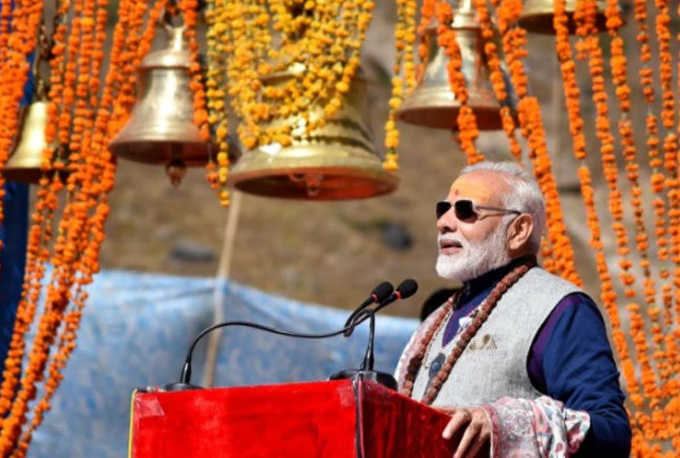 After meeting jawans, Modi offered prayers at the Himalayan shrine in Kedarnath and reviewed Kedarpuri reconstruction projects. This is Prime Minister Modi’s 3rd visit to Kedarnath since 2014. A meditation cave that is built at a secluded spot 400 metres above the shrine will be shown to the PM Modi from a distance as he is not scheduled to go there. The next year, PM Modi was in Himachal Pradesh, where he spent time with the Indo-Tibetan Border Police (ITBP) personnel at a border outpost. He had spent his fourth Diwali as prime minister with soldiers at Gurez in Jammu and Kashmir last year.